Diptera.info - Discussion Forum: Sphaerophoria sp. Which species is this of (I think) Xanthogramma? The fly was found on the Marker Wadden in the Netherlands in July 2018. You can't see it well on the picture but it has red eyes. 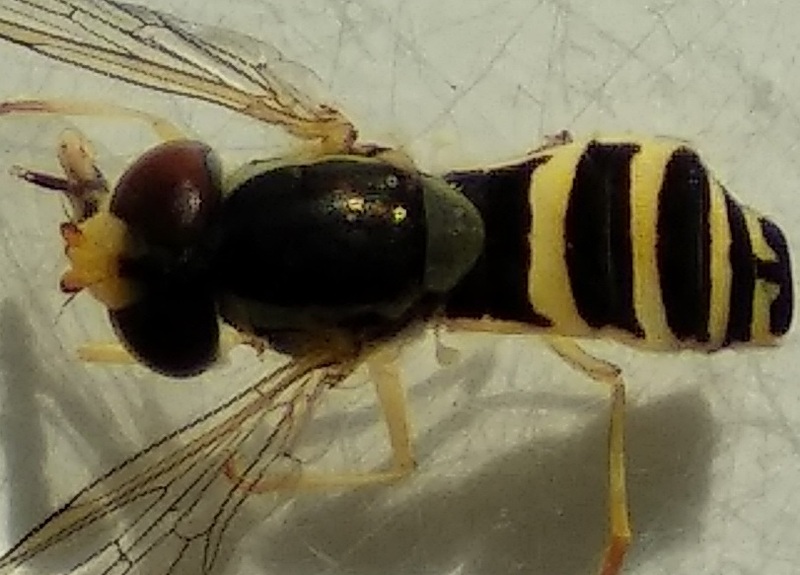 Ah yeah, I was doubting between Sphaerophoria and Xanthogramma, because the abdomen is not that long or skinny but the pattern looks like Sphaerophoria. But thanks!